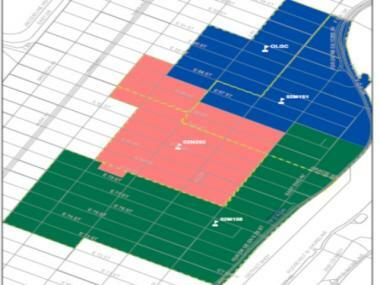 The dotted yellow lines represent the Department of Education's proposed changes to the Upper East Side's elementary schools, P.S. 290, P.S. 151, P.S. 158 and a new school in Our Lady of Good Counsel (OLGC). MANHATTAN —For real estate brokers working in the Upper East Side, the catchment areas for prestigious elementary schools P.S. 6 and P.S. 290 are seared into their memories. So when the Department of Education recently announced proposed changes to the neighborhood's school zones, brokers braced for upheaval. While P.S. 6's posh boundaries would be untouched under the DOE's proposal, P.S. 290 would lose roughly nine square blocks. P.S. 290 had a waitlist of 64 kids for the current year — even after last year's rezoning to tackle some of the overcrowding problems. The neighborhood is facing another rezoning as the Department of Education prepares to open a new elementary school next year at the former Our Lady of Good Counsel building at 393 East 91st St. Changes would be also be made to P.S. 151 and P.S. 158's boundaries. The Department of Education will make a presentation on the proposed changes at a Thursday hearing hosted at 6:30 p.m. by District 2's Community Education Council at P.S. 158 at 1458 York Ave. The changes will likely cause anxiety among families who have recently moved or are looking to move to the area, brokers said. Jacky Teplitzky, a managing director at Prudential Douglas Elliman, has first hand experience, not just as a real estate professional but also as a parent whose two children went to P.S. 290 — when the school was just beginning to gain a reputation as being an excellent progressive school. "From the time we started to the time my kids graduated, there was no room to walk through the stairwells," said Teplitzky, whose children are now 16 and 13. She remembers the school adding moveable walls to create makeshift classroom space. But the school's reputation continues to shine, and many families she works with look specifically for apartments within the P.S. 290's boundaries. "It's a huge deal," she said. "From a value point-of-view in real estate, even if you send your children to a private school you still want to be in an apartment zoned for a good school because you always want to be thinking about resale." The rezoning proposals, she said, are "going to shake things up," she said. "It's anxiety that we don't need." Doug Perlson, co-founder and CEO of the online real estate brokerage RealDirect, estimated that 25 percent of the time that families are searching for apartments, school criteria are "deal breakers" since some "live and die by their search results," he said. "Anytime you get a neighborhood with a hot elementary school, there's a pool of buyers focused on that elementary school," Perlson said. "As the catchments change, people will literally change their search parameters." Though he often tells parents their kids might not even get into P.S. 290 if they move to its zone — because of the waitlists — another school rezoning could have an effect on people's real estate decisions. "The lack of continuity is going to have an impact," Perlson said. "It's somewhat muted because of the lack of guaranteed placements in certain schools, but it's still very real." Both Perlson and Teplitzky said the DOE needed to improve efforts to convince parents of the quality of other schools in the neighborhood. "The DOE needs to give a reason for not going to that hot school," Perlson said. "People don't like change," Teplitzky said. "Unless [the DOE] starts doing publicity for these other schools, people will be concerned. … In New York, the moms and dads are all paranoid about their kids' education and they will do whatever it takes, so I don't think this will go quietly." District 2's Community Education Council's hearing on the proposed rezoning is on Thursday, Oct. 6 at P.S. 158 at 1458 York Ave. 6:30 p.m.